You’ve probably heard of Sumo as an energy provider, but did you know the company now also offers NBN plans? Current ADSL customers can also sign up, with an easy transition to the National Broadband Network promised once it becomes available in the neighbourhood. Sumo has a variety of electricity plans for the Victorian market, so let’s see how its NBN plans stack up. See what Sumo has to offer below, including some juicy discounts. Sumo has three internet plans spread across three NBN speed tiers – Basic (NBN 12), Standard (NBN 25) and Standard Plus (NBN 50). What’s great about Sumo is the discount available for customers who bundle their NBN service with a Sumo energy plan: $5 per month when bundled with electricity alone, or with both electricity and gas. If you have an electricity plan, bundling in NBN will increase the energy pay-on-time discount to 42% for your first 12 months, up from 32% or 37% (depending on your plan). Sumo’s NBN plans come with a no lock-in contract as standard, with no setup fees and an optional $10-a-month VoIP charge if you want to make local and national calls. You can bring your own model to Sumo, or opt to buy a pre-configured device at sign-up for $89 (including delivery). With electricity bundled in, Sumo’s NBN plans work out to be some of the cheapest in the business. But. of course, you’ll need to assess whether Sumo’s electricity and gas plans are right for you before adding them to your plan. What does Sumo NBN offer? Sumo’s NBN coverage is reliant on the rollout of the national network, scheduled to be completed by 2020. 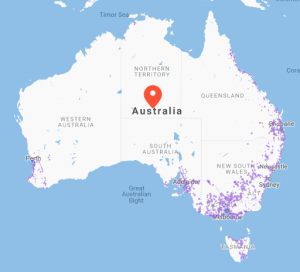 When completed the NBN’s fibre connections will cover 93% of the population, with the remaining 7% to be placed on a fixed wireless or satellite service. Lucky for customers, Sumo provides the same service for both its fixed wireless and HFC customers. Sumo NBN coverage extends wherever fixed line, fixed wireless or HFC coverage is available, including capital cities and major regional hubs. 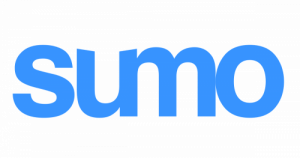 Sumo, as an electricity provider first, offers unique bundling discounts if you’re a customer. New customers receive a 20% discount for the first six months of their plan, and can save a further $5 per month by bundling with a Sumo electricity. Plans are no-contract by default, with optional VoIP calling plans available for an extra $10 per month. Customers can receive increased pay-on-time discounts on their electricity/gas plan by bundling in internet as well. Sumo is one of the only providers in Australia to offer such bundling discounts. If all you need is the basics, Sumo offers unlimited data on NBN 12 (Basic Evening Speed) for $60 a month. Sumo steps it up a notch by offering the Standard Evening Plus speed tier (NBN 25) for just $70 per month, further bundling incentives and discounts notwithstanding. If you’re after the fastest of what Sumo has to offer, look no further than unlimited data from $80 per month. Don’t forget about the $5 bundling incentives; doing so could make this plan one of the cheapest in Australia, at just $59 for NBN50 speeds and unlimited data. Sumo offers a variety of self-service and customer service options. How does Sumo compare to other NBN providers? Based on its NBN merits alone, Sumo is quite competitive with these larger telcos. While you will have to dig deeper into its power plans to see if they are right for you, its NBN plans are easier to decipher, and stack up well. Is a Sumo NBN plan worth a wrestle? Sumo is a relatively new player in the internet game, but has been dealing in energy for a while. Already, Sumo stacks up as one of the most competitive providers in the NBN space, helped by unlimited data as standard, cheap prices and discounts, and easy-to-understand plans. Plans come with no lock-in contract as standard, with optional modem and voice add-ons. Coupled with simple NBN plans, the discounts on offer if you bundle internet, electricity and gas are noteworthy. These discounts bring NBN prices down to some of the cheapest in the market, but as mentioned above, you’ll need to compare your energy options to make sure you’re not paying too much for the convenience of bundling. If you’re looking at changing both internet and electricity providers, bundling could be an attractive option, but don’t just set and forget.